Have you ever seen a sign like these on your travels? 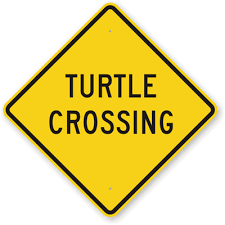 Often we see these signs and we drive on by without really paying attention to them. The other day I saw a small turtle shell on Highway 6 cars whizzing over top of it and I have thought and thought about that poor little thing, tucked inside it’s shell as the universe sped on by without noticing him. There was a route that we often traveled to visit my parents, that had such a sign. One humid over cast day my daughter and I were heading down for a visit when we noticed a van stopped in the middle of the road and another parked on the shoulder. We pulled over to the side to see what the kerfuffle was when we beheld the sight of a Giant Snapping Turtle in the middle of the lane, chillaxing. Another person pulled up and stopped and we all stood there watching this Turtle, wondering how we were going to rescue it from being hit by a passing car. One of the onlookers was standing around with her cell phone, taking video and pictures, whilst two men were trying to figure out how they were going to entice this rather fiesty tortoise onto a piece of card board from the back of the one gentleman’s van. I did realize that the reason why a snapping Turtle has that handle, is because they snap and if bitten, it would really hurt, so I understood their trepidation. But the reticence was driving me around the bend, well more so, I was worried about what was around the corner that had four wheels and could flatten this majestic creature. As the two men jockeyed about, I walked up behind the turtle, took my foot, tipped him up and pushed him onto the cardboard. He looked around a little befuddled, but he was quickly dragged over to the side of the road and tipped into the culvert. We all watched as Snappy the Turtle made his way up the the other side and into the the tall grass. Mission accomplished! 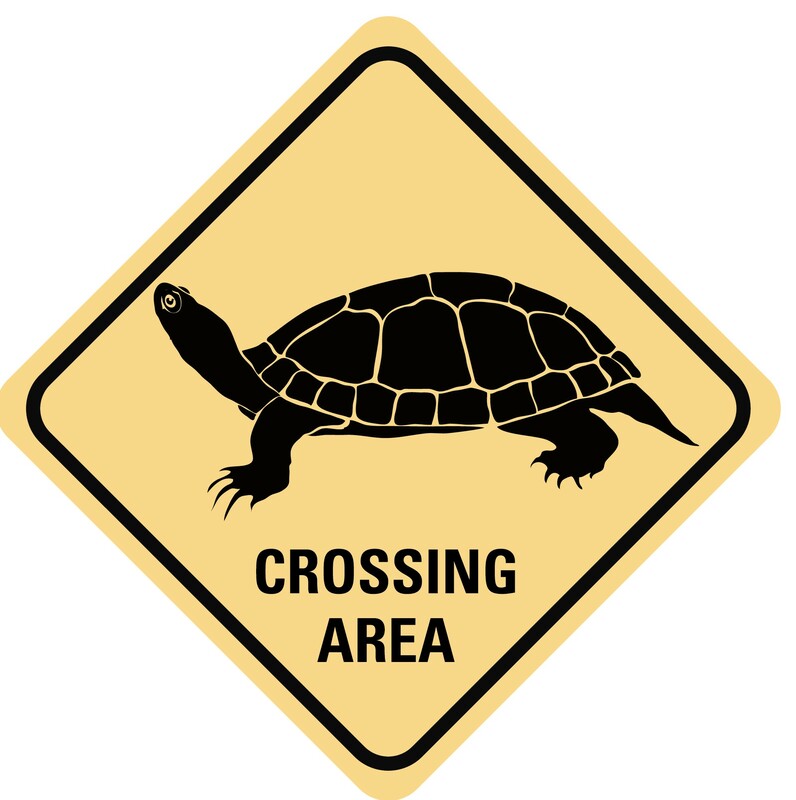 As for the Turtle on Highway 6 in the opposing lane that I didn’t have the opportunity to get out and assist…I really hope you too were able to get to safety!